Whether in the hospital or in the post acute care facility, the LTV 1150 enables patients to experience the freedom to go home. 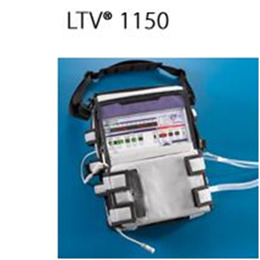 Patients receiving ventilation support on the LTV 1200 can go home on the LTV 1150 using the same settings! The LTV 1150 extended feature set, including internal PEEP and SBT, is derived from the legendary LTV 1200 and provides a warmer new look that maintains the light weight and small dimensions of the LTV series in a modern, people friendly package.